UNRWA chief says American cut in aid "threatens one of the most successful and innovative human development endeavors in the Middle East." UNRWA, the UN agency for “Palestinian refugees” on Tuesday responded to the U.S. decision to cut the funding it provides to the organization by half. "Given the long, trusted, and historic relationship between the United States and UNRWA, this reduced contribution threatens one of the most successful and innovative human development endeavors in the Middle East," said UNRWA Commissioner-General Pierre Krahenbuhl in a statement. “The reduced contribution also impacts regional security at a time when the Middle East faces multiple risks and threats, notably that of further radicalization," he warned. A State Department official said earlier on Tuesday that the United States had sent $60 million to keep UNRWA in operation but withheld a further $65 million. 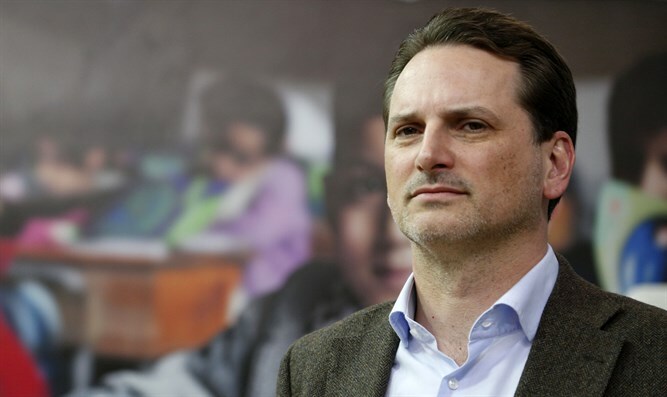 "There is a need to undertake a fundamental re-examination of UNRWA, both in the way it operates and the way it is funded," the official said. UN Secretary-General Antonio Guterres had said he was "very concerned" by the U.S. cut. "UNRWA is not a Palestinian institution but a UN institution," he said, dubbing the agency "an important factor of stability" in the Middle East. The American cut came following recent tweets by President Donald Trump in which he questioned the wisdom of providing hundreds of millions of dollars in aid to the Palestinian Authority given their refusal to resume peace talks with Israel.